The Competition Commission will probe super specialty hospitals in the national capital for possible unfair pricing in services and products provided to their in-patients, according to an official release. After finding that "huge profit margins" are being earned by super speciality hospitals through "sale of products to the locked-in in-patients", the fair trade regulator has decided to widen the scope of the investigation. "The Commission has directed the DG to complete investigation expeditiously," the release said. In November 2015, the CCI had directed its investigation arm -- the Director General (DG) -- to probe alleged violation of Sections 3 and 4 of the Competition Act by Becton Dickinson India (P) Ltd and Max Super Speciality Hospital, after finding "prima facie" that they had contravened the same. The DG had considered the market for "provision of healthcare services/ facilities by private super-speciality hospitals within a distance of about 12 kms from Max Super Specialty Hospital, Patparganj" as the relevant one. In an order dated August 31, the CCI said that regarding the abusive conduct of Max, it is noted from the DG's report that the hospital had earned huge profit margins ranging from 269.84 per cent to 527 per cent in the financial year 2014-15 and ranging from 276.96 per cent to 527 per cent in the financial year 2015-16 by sale of different syringes. Also, with view to earn more profit, Max had shifted its procurement or purchase from flow wrap syringes to blister pack syringes during 2015-16, the CCI said, adding that it has been found by the DG that the hospital had been compelling its in-patients to purchase products only from its in-house pharmacy once they are admitted. As per the DG's report, such conduct of Max amounts to contravention of the provisions of Section 4 of the Act, the Competition Commission of India (CCI) said. The regulator observed from the DG's report that while there is a reference to Max's alleged conduct as being akin to 'aftermarket abuse', however, it has not investigated the same in 'greater detail'. The CCI said that though the monopoly of Max in the aftermarket of pharmaceutical and other consumables in healthcare services for in-patients by itself is not an issue for the purposes of the Act, however, abuse of that position by the hospital by charging "supracompetitive prices" from the locked-in in-patients for the products and services "including but not limited to syringes in that aftermarket needs to be explored". "It is common knowledge that this practice of exploitative pricing from the locked-in patients is followed with impunity by most of the hospitals," it added. Noting that the present investigation report of the DG suffers from some inconsistencies, the regulator said that "further investigation in this matter is required". The CCI said that the investigation may especially focus on the products sold by the super speciality hospitals to their in-patients, which are not required on an urgent basis for any medical procedure or intervention or which do not involve any high degree of quality issue from the medical procedure point of view. 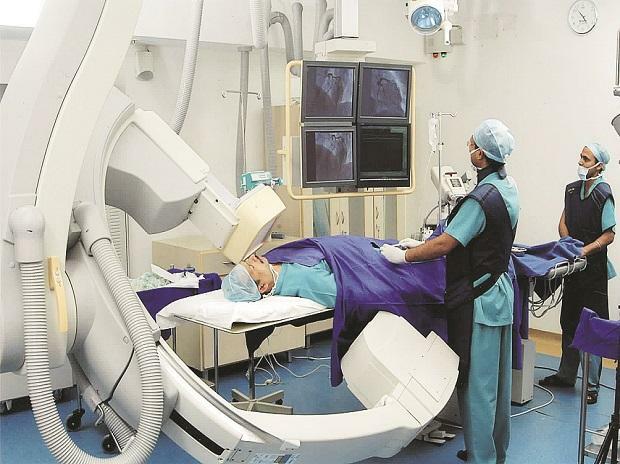 The probe can also focus on the products for the purchase of which, the patients have the time and scope to exercise their rational choice to avail them from open market as well as where such products may be available at lower rates, it said. According to the order, the relevant market definition as provided in the DG's investigation report "may be revisited". "The concept of 'aftermarket abuse' referred to in the DG's report may be used to define the relevant market as the market for healthcare services/ facilities in the after-market for in-patients in super speciality hospitals. "With regard to the relevant geographic market, instead of considering "a distance of about 12 kms from Max Super Specialty Hospital, Patparganj," the DG may consider Delhi as the relevant geographic market ...," the CCI said.